A choice of a ground floor or first floor ground floor two bedroom flat, recently part of a major conversion into 18 flats and 4 studios in the heart of Truro, yet enjoying a tucked away location and presented in a fresh, modern and exacting manner. The conversion has extraordinarily created a wide range of different designs and layouts within the building. 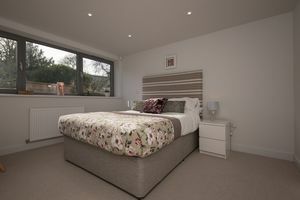 This is one of only three 'Hendra' designed flats and the only one to be located on the ground floor. This design provides a feature 23' open plan living room/kitchen. 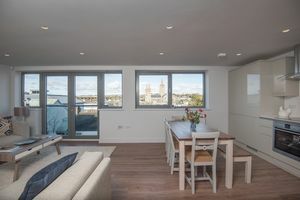 This rooms has patio doors opening onto a Juliet balcony and a window which provide a lot of natural light and increasing the rooms' appeal there is a fine view across the City, with the Cathedral in particular being very prominent to the eye. The kitchen is fully fitted with a wide range of appliances. 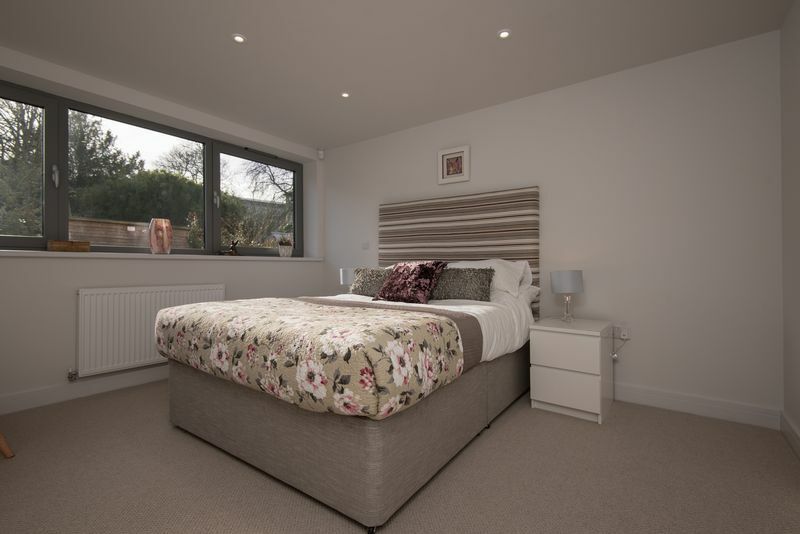 The two double bedrooms are similarly sized with a very well appointed bathroom. In particular, this design has also brought about some excellent storage facilities. 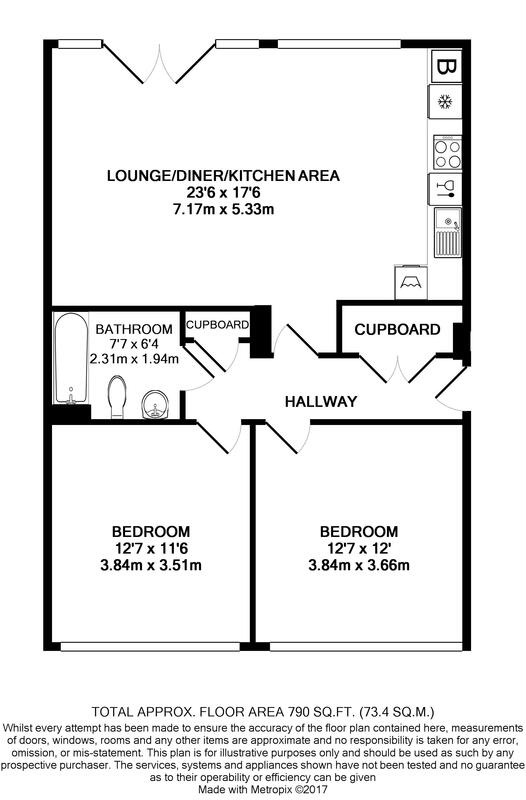 There are two large double cupboards off the hallway, something that can often be missing in flats in particular. 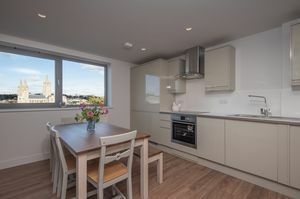 The flat also enjoys gas central heating, double glazing, carpets to both bedrooms and laminate flooring to the living room/kitchen. There is a security entrance system and fire alarm for the whole building and smoke detectors. There is also an allocated parking space and a communal bicycle store for those who like to pedal! 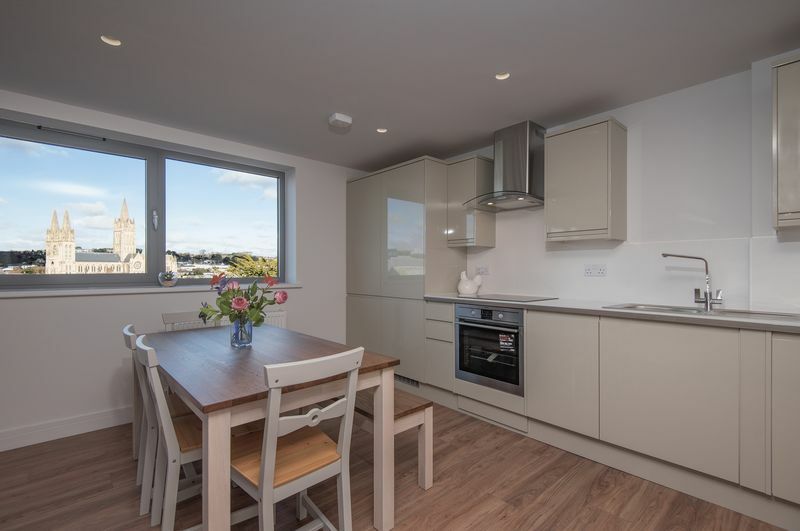 This flat is one of our show flats and we would be delighted to meet you on site to show you this and the other designs this development offers, if required. You could then immediately go into Truro for some shopping or something to eat as this is how close you are to being within the City! 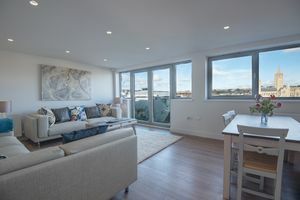 Please note that photos are taken of the whole development and may not necessarily show the particular flat in question but are a good representation on what is within each flat. 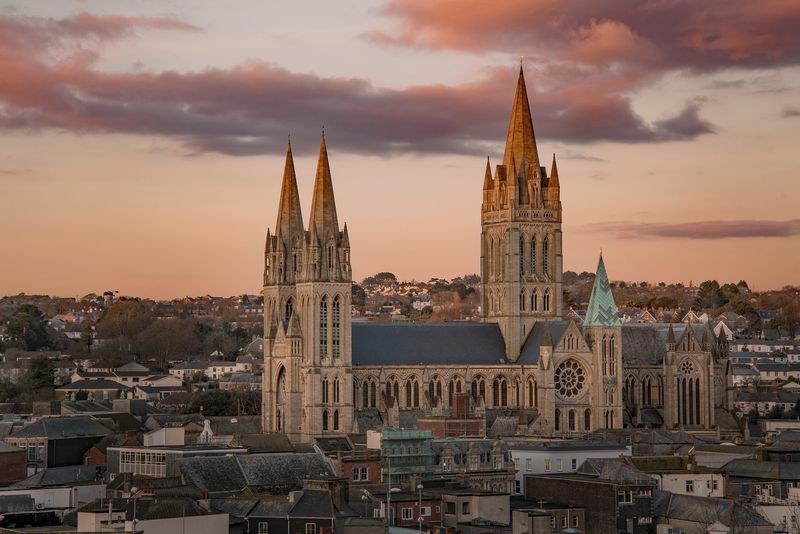 With an approximate square footage of 790' is a two bedroomed apartment with a fabulous open plan living and kitchen area with double doors opening to a Juliet balcony with beautiful views over the city of Truro and the cathedral. Stunning range of contemporary high gloss handle less units which incorporate a selection of quality integrated appliances including washing matching, fridge freezer, dishwasher and oven and hob with stainless steel and glass extractor hood over. There are ample work surfaces with upstands and inset sink with mono-block mixer tap, and a range or under cabinet light completing this high quality finish to the kitchen. White three piece modern suite with a bath with mixer taps and shower over fitted glass screen, low level WC with concealed cistern and vanity wash hand basin with mixer taps, pop up waster mirrored medicine cabinet over with sensor lighting. 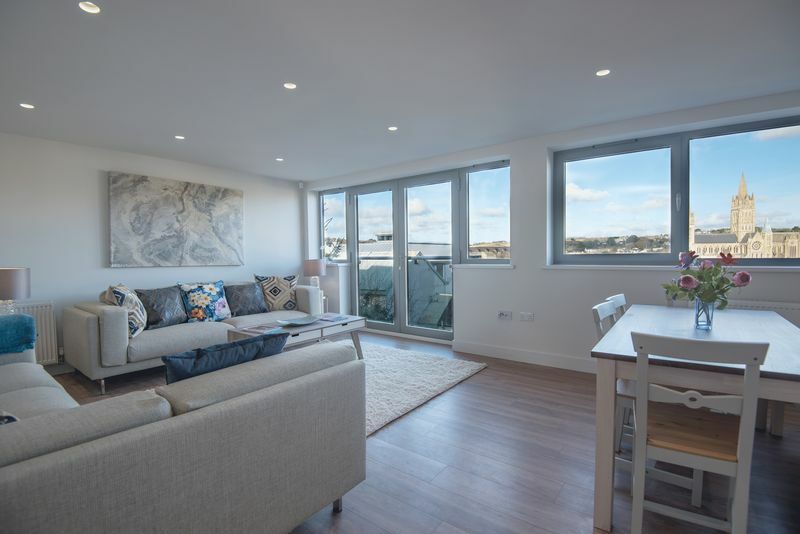 Lysnoewth is a leasehold development with a 999 year lease to include a share of the freehold. Outgoings include a Ground Rent and Service charges. 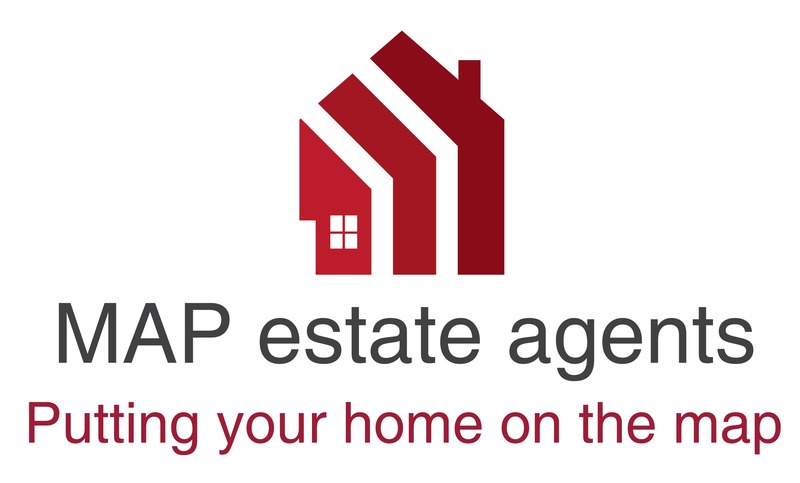 Terms of the lease and charges relating to the lease should be verified by the buyers solicitors and specific enquiries raised accordingly.